Officially Licensed by Warner Bros Studios. 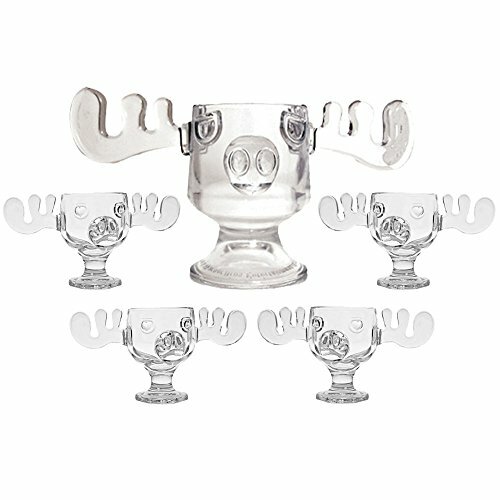 Made from hand molded glass the antlers attach to the sides of the moose head bowl with metal hook. The antlers are easily removed for cleaning and storage. Moose Mug Punch Bowl Dimensions: Width (from antler to antler): 20" Height: 10-1/2" Front to Back (including snout) 8-1/2"
Punch Bowl holds approximately 72 oz of liquid. Moose Mug holds approximately 8 oz of liquid. If you have any questions about this product by Christmas Vacation Collectibles, contact us by completing and submitting the form below. If you are looking for a specif part number, please include it with your message.